First revealed at the 2018 Game Awards, Mortal Kombat 11 had its big coming out party at a January 17th event. We got our first real glimpse at its gameplay, expanded variation system, story prologue, and more! Not going to provide a comprehensive rundown here, but I’ll highlight a few notes that I thought were worth noting! 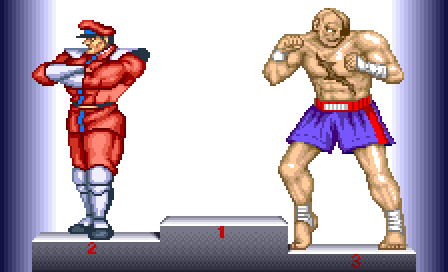 When it comes to fighting games, there’s nothing more exciting, intense or as important as the fighting game tournament. This is the place where fighting game players who take their games seriously strut their stuff in hopes of winning the big prize, and more importantly, earning the respect of their fellow fighting game playing peers. You can say what you want about how you scrape your friends all the time at your place, or how you’re a legend at your local arcade, or how you’re one of the top ranked players online, but in the new era of fighting games, it’s all about showing and proving at a tournament, especially one that’s being live streamed for viewers around the world to check out. Though I’m far from a seasoned tournament veteran, I’m still very much feeling the buzz from my time at T12: Toronto Fighting Game Championships, which is the inspiration for today’s post. I think I’ve had enough tournament experience (and have heard enough second-hand accounts) to give you a few words of wisdom if you plan on going to a tournament, especially if this will be your first one. 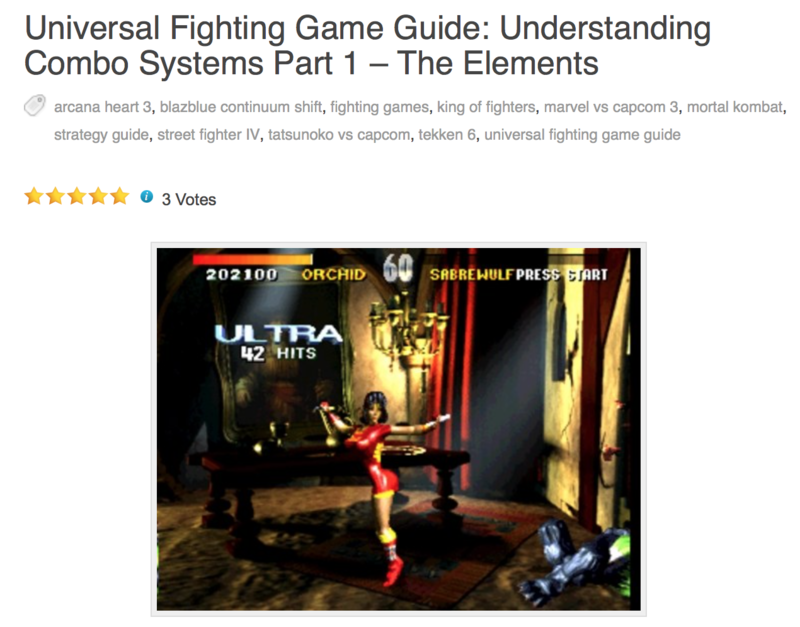 Welcome back to part 2 of a mini-series of combo systems posts within In Third Person’s Universal Fighting Game Guide. 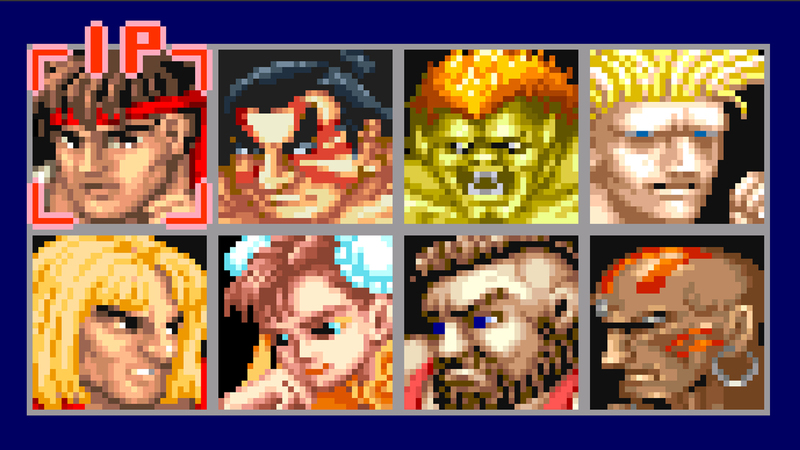 Part 1 dealt with the elements that make up a combo system in most fighting games, which you can find here. This post will take those fundamental elements and try to outline a process you can use to help you establish a knowledge and execution foundation to build your combo abilities on. Last year, I dipped my toe into the competitive gaming waters by participating in Fan Expo 2010’s Super Street Fighter IV tournament. While I was bummed out that Fan Expo didn’t run any fighting game tournaments this year, I am attending something that will most likely be way cooler. While you may be tempted to learn the big fancy combos the moment you start playing a new fighting game, it’s not the best way to level yourself up. Mastering the physical execution of big combos is nice, but learning the big combos without knowing the context behind them first is like trying to run without learning how to walk. This is post 1 in a two-part mini-series about understanding combo systems. Part 1 will deal with the elements that make up most combo systems, while part 2 will discuss how to put context to those elements to shape your offensive capabilities. Let’s get moving with part 1!